So there's been a handfull technical issues reported on the blag in the last few months. Text getting too small on desktop, inability to write characters like "$", issues when posting comments, and constant cookie confirmation requests. I suspected this had to do with the theme we used; one that had not been updated for half a decade or so. I assume it is no longer supported by the platform, and as such bugs kept popping up. So I updated the theme to something slightly more supported. To commemorate this sudden change in visual style, we now have an excellent excuse to write a full-on click-bait style listicle. If we can go 14th century Syrian folktale, we most certainly can go Buzzfeed. Let's roll! 25 years ago today, the Magic universe expanded beyond Dominia's shores of imagination. Few noticed back then, and even fewer would fathom the impact it would have. It was a set that grew old faster than any other. In Sweden it was the stuff of legends even among the first of us to walk the paths of heresy and legerdemain. These were the budding days of wizardry. Wednesdays have become the go-to meetups for the foogies in Oslo. Somewhere between a handful to a dozen spellslingers are wont to gather at the local pub Gaasa ("The Goose"), occasionally substituted by a brewhouse a few steps removed from the city center. But this week it was Gaasa, and I was itching to sling some cards again. Dadgic style. I'd been dabbling with the idea of Enchantress Ponza for a year or so. 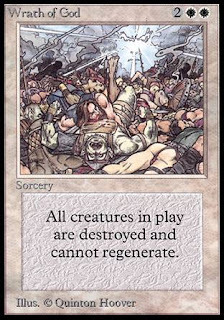 Enchantress was actually the original plan for the deck that warped into Mycosis Fungusaur at the Horrible Horse gathering last year. Never got the chance to sleeve up the Verduran ladies though, neither before nor after. They've been staring at me from the binder for quite some time now. These are magical days. We celebrate life and toast in unbreakable glasses. Though in dancing there is barely time for writing, and I must to fall back to old stories this time. There are lots of tales we never wrote and lots of stones we never turned. 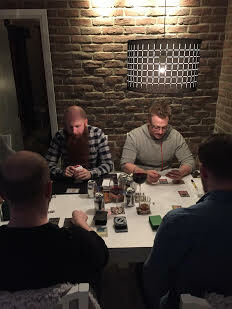 Team Kaffebryggers's latest summer tournaments in Växjö, Team KanelFireball's post-Christmas tournaments in Varberg, or perhaps the journey of Team Lisch in Lidköping? I recently unearthed some pictures from their Drowned gathering in March 2017. Communities are growing and stories are lurking. Luckily for me, I found one that was already written. 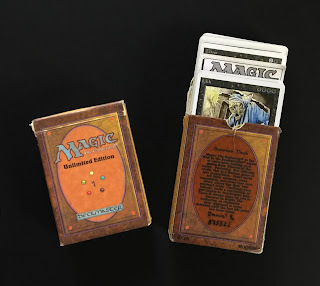 Before there was a Flippin' Orbs podcast, before the online deck archetype library, and before the page wak-wak.se was up and running, a jovial Stockholmer in a colorful suit named Gordon Anderson still roamed the corners of the format. The man was named Gordon that is, not the suit. Flippin' the Orb, preschool style.